When NATO’s large Trident Juncture 2018 exercise concluded this week, pro-Kremlin disinformation was unsurprisingly swift to react. Two weeks ago we highlighted three different ways in which pro-Kremlin disinformation seeks to undermine public trust in the EU and NATO. 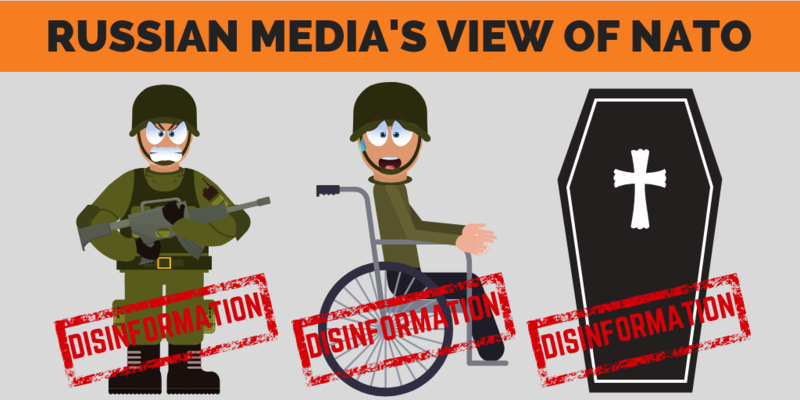 This week we look at how Russia’s disinformation reacted to this exercise, like reported by euvsdisinfo.eu. Disinformation aimed to create an image of NATO and the West as an enemy – an aggressive military superpower that has for years been conspiring to dismantle Russia. We heard that the US has prepared for a war against Russia since the year 2000, and that this particular NATO exercise was a move from theory to practice – see here instead for some information on the attempts by the EU, NATO, and the West to build cooperation with Russia throughout the years after the Soviet Union collapsed. The earlier disinformation on Western desires to invade new territories in the Arctic was developed further with claims stating that Trident Juncture’s aim is to prevent Russia from utilising the Northeast passage. Read the facts here. Pushing contradictory messages is one of the core features of pro-Kremlin disinformation. So the picture of the West as a military aggressor also turned into an image of an out of date alliance crippled by internal divisions. Disinformation was spread about Germany being reluctant to stand shoulder to shoulder with the rest of NATO, and that Norway risked losing its independence and disappearing altogether because of choosing to host this exercise. Shaping the image of the West as an enemy culminated in open mockery. We saw – again – disinformation-oriented outlets pushing messages like “severe weather screws up Russophobic exercise”, and how “NATO soldiers again maim in an exercise against Russia”. (Last year we saw claims that “Bulks of NATO supermen get injured on the Russian border”). As well as ridiculing, a typical disinformation pattern is to threaten. So we heard on Russian TV direct threats of how “Russia has to create funeral teams and bury all the NATO soldiers”. How effective is challenging disinformation? On November 3rd, the Russian UK Embassy pushed out some bogus figures to highlight alleged NATO aggression at Russian borders. The tweet scored 720 shares and comments – hardly a reason to celebrate for the Embassy’s social media team, however: Two thirds of the mentions were debunks. Only one third consisted of uncritical retweets of disinformation. What’s more, debunk messages scored a total of 1.6 million Twitter impressions, whereas the disinformation message arrived at 630,000. The defeat of the disinformation was largely thanks to NATO spokeswoman Oana Lungescu, who pushed back by serving plain facts on Twitter, but also driven by many individual users, who put the Russian Embassy on the spot. This week, it was also time for some good old historical conspiracies. In the attempt to overshadow Russia’s responsibility in the poisoning of Sergei and Yulia Skripal, the Russian TV keeps on exploiting every opportunity to accuse the others doing the same. Frequently these disinformation efforts seem to backfire, and so did they this time as well. A commentator announced that poisonings have been a speciality of the British special services for the past several centuries. His “evidence” was that already in the 16th century, British doctors poisoned Ivan the Terrible and his son, Ivan. See the facts here. Somehow it seems that the Russian realist artists were better informed already in the 19thcentury than today’s Russian TV commentators. It wouldn’t be a bad idea to have a look at Ilya Repin’s painting Ivan the Terrible and his son Ivan to learn that no British doctors are portrayed in the picture.